A group of volunteers from 13 faith communities from the Jewish, Islamic, Christian, Hindu, Buddhist, Sikh, and Sai traditions comprising the Interfaith Build Coalition gathered over the weekend to team up and tackle the need for affordable housing and fight back injustice. 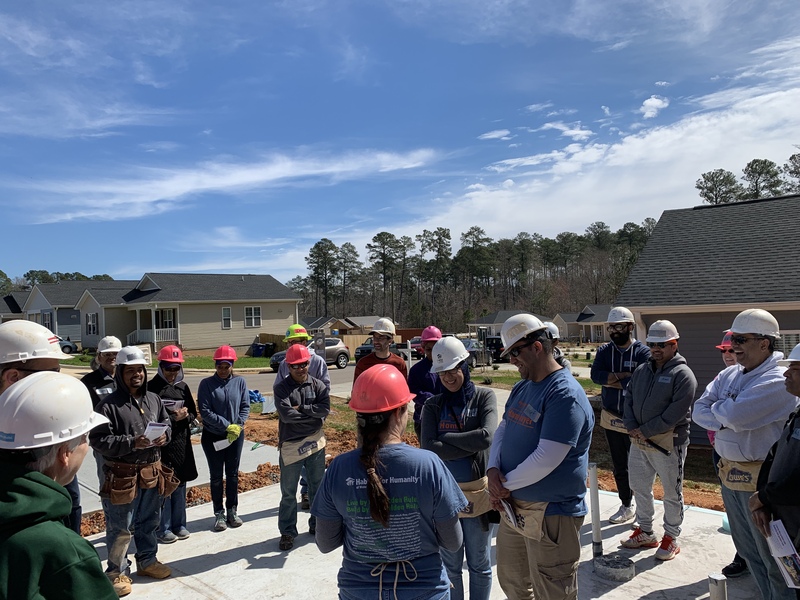 The Interfaith community spent the entire weekend connecting in fellowship and building and raising the walls for Habitat homebuyers Loubna, Youssef and Reda. During the ritual wall raising ceremony, everyone joined in moments of prayer and solidarity to remember the lives of those that were lost in the recent New Zealand mosque shooting and to stand with Muslims and all victims of hate. As a Christian organization, Habitat provides many opportunities for people to put their faith and love into action. The kick-off weekend for the Interfaith Build emphasized our philosophy to aim to keep God at the center of our work, and it also solidified our theology of the hammer which speaks to the importance of community and the promotion of people coming together to love one another in unity. Through shelter, we continue to strengthen the lives of our future Habitat homeowners, as they work to build a better future for themselves and work alongside volunteers who seek to build a better world.